Habit: evergreen shrub, growing erect although slightly low spreading with a round top. The grayish brown bark is thin and smooth. Leaves are oblong and thick, gray-green on top and rusty-gold underneath. Insignificant flowers bloom from early summer through fall and can be ill-smelling. Fruit is composed of three sweet, edible nuts enclosed in a densely spiny pod. 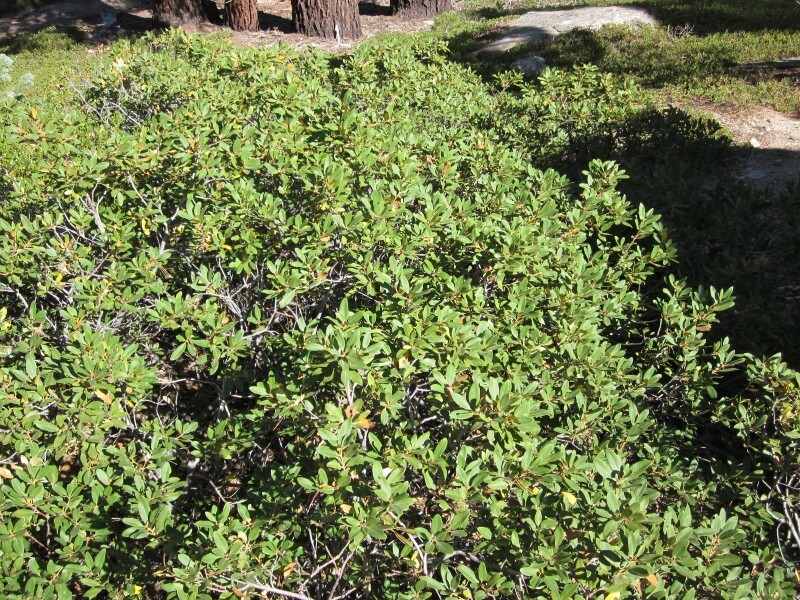 Ecology: Bush chinquapin grows on steep, often south-facing dry, rocky slopes, open woods and within the coniferous forest zone, usually occurring at higher elevations 1500-10,000 ft (500-3300 m). Growing Conditions: full sun to partial shade prefers coarse to medium textured soil. 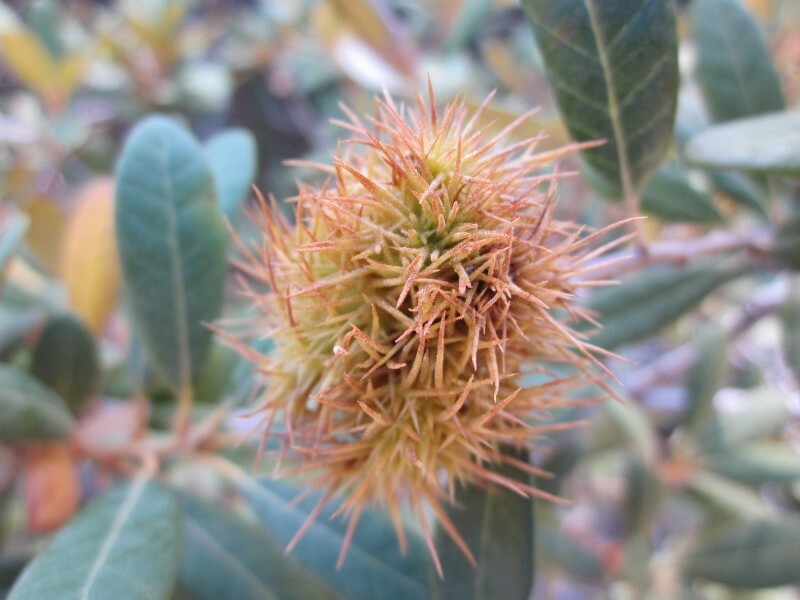 The seeds of bush chinquapin are a staple diet item of various birds and rodents.